Recruitment Marketing platforms help internal recruiting teams attract and source job candidates to convert into applicants. Recruitment marketing platforms offer a variety of features to facilitate recruiting marketing efforts including social recruiting tools, job distribution features, and candidate relationship management (CRM) capabilities. Many of these features are similar to those that support inbound marketing efforts within marketing departments. Organizations use recruitment marketing platforms to market job openings, engage with candidates, nurture their interest, and encourage the submission of applications. Many of these platforms also offer tools for identifying candidates at events such as campus recruiting events. Recruitment marketing platforms are traditionally implemented in HR departments and used by internal recruiters to build talent pipelines. These platforms enable users to treat candidates as “leads", qualifying them in a similar manner as leads in sales operations. Organizations can use recruitment marketing platforms to increase the volume and quality of applicants. Recruitment marketing platforms can be implemented either as a standalone solution or as part of an integrated HR management suite. These platforms can also be integrated with applicant tracking systems (ATS) and onboarding software to form a talent acquisition suite. Many features present in recruitment marketing platforms are similar to those found in email marketing, customer relationship management (CRM), and organic search marketing products. Recruitment Marketing reviews by real, verified users. Find unbiased ratings on user satisfaction, features, and price based on the most reviews available anywhere. LinkedIn Talent Basic, Finder, and Pro Plans. Obtain additional access to talent and tools to manage recruiting on LinkedIn's network. Zoho Recruit is an applicant tracking system catering to multiple hurdles faced by recruiters. With complete solutions for both in-house recruiters and staffing agencies, Zoho Recruit helps you source, track, and hire the best candidates, without any juggling required across different media. Customize every aspect of your workday and automate tasks like sending emails, updating interview status, and more. Get reports and analytics at your fingertips and plan better hiring strategies. Other key features include: ‌a. Publish to premium job boards b. Source quickly with source boosters. 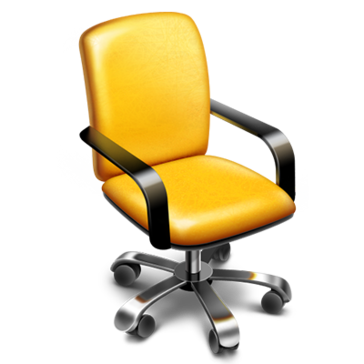 c. Create your company's careers page d. Design pre screening assessments e. Parse resumes, set up Resume Inbox and format them. f. Google Chrome plug in for Zoho Recruit g. Get reports and advanced analytics h. Workflow automation & Process automation i. Engage candidates better with Zoho Recruit j. Candidate interview stage tracking with Hiring Pipeline k. AI Powered candidate matching with sematic search l. Integrations that matter. SmartRecruiters’ Talent Acquisition Suite is used by high-performance organizations for making the best hires. It has full functionality for recruitment marketing and collaborative hiring built on a modern cloud platform with an open marketplace for 3rd party recruitment services. Unlike the first generation applicant tracking systems it replaces, SmartRecruiters provides an amazing candidate experience, hiring managers actually want to use the product, and recruiters love us because we make their jobs easier. Companies like Visa, Skechers, Atlassian, Equinox, and Alcoa use SmartRecruiters to make recruiting a competitive advantage. Lever's mission is to help the world hire with conviction. Our fresh take on the talent acquisition system combines powerful ATS and CRM functionality in a single, modern platform—so employers can source, nurture, and manage candidates all from one place. A modern, effortless end-to-end recruiting product you and your team will 😍. 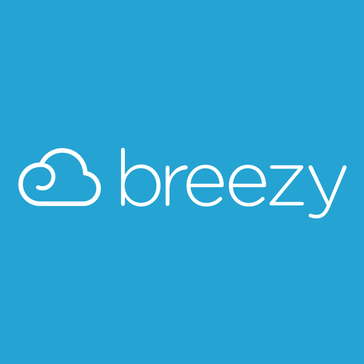 Breezy streamlines your entire hiring process; giving you more time to connect with candidates by automating manual tasks like job posts, advertising on job boards, interview scheduling & follow-ups. We include all the tools your team needs to hire more efficiently, from employee referrals & sourcing tools for LinkedIn and dozens of others to custom scorecards & interview guides and we back it all up with powerful analytics & reporting. It's also GDPR compliant! With Breezy, you'll be making better hiring decisions in less time. Come check us out. Jobvite is leading the next wave of recruitment innovation with Continuous Candidate Engagement (CCE), a candidate-centric recruiting model that helps companies engage candidates with meaningful experiences at the right time, in the right way, from first look to first day. The Jobvite Platform infuses automation and intelligence into today’s expanded recruiting cycle to increase the speed, quality, and cost-effectiveness of talent acquisition. Focused exclusively on recruiting software since 2006 and headquartered in San Mateo, Jobvite has thousands of customers including LinkedIn, Schneider Electric, Premise Health, Zappos, and Blizzard Entertainment. CareerArc is a recruiting software and outplacement solution that combines social media management, jobs distribution, and award-winning customer care to help organizations maximize their return on employer branding. Market new, open positions to your talent network via email without lifting a finger. Portable “Join” Button. Invite candidates to join your talent network by. Hiretual is a recruiting platform that aims to help you find and engage the right people 10x faster. According to the vendor, customers use Hiretual to source across 30+ platforms and 700M professional profiles, quickly gather contact information and hire efficiently with team collaboration, pipeline management, and intelligent engagement. CEIPAL TalentHire is a fully scalable, fully integrated Applicant Tracking System (ATS) which assists Staffing/Recruiting firms in automating their workflows & enabling them to close more placements faster. With more than 1000 clients across Staffing & Recruiting industry, Ceipal is pioneering staffing successes with its combination of next-gen technology & exceptional VFM (Value for Money) Offerings. Key features include: Job Requisition, Job Posting, Applicant Sourcing Screening & Selection, eBoarding, Social Media Integration Analytics, CRM, Mobile Device Functionality, Job-board & VMS Integrations, Email Integrations & Plugins. All-in-one Applicant Tracking System and Recruitment Marketing platform that helps HR professionals and recruiters find, attract and hire talent. There are 4 main parts of TalentLyft TalentLyft Source: Make finding high-quality candidates easier and more affordable TalentLyft Engage: Communicate with candidates more effectively and become a desirable employer to work for TalentLyft Convert: Turn your career site visitors into job applicants TalentLyft Track: Streamline your recruiting process, make it paperless, and measure every step of your hiring strategy. Avionté is a leader in enterprise staffing and recruiting software solutions, offering a full suite of innovative end-to-end staffing solutions throughout the U.S. and Canada. Avionté provides a robust platform that includes CRM, ATS, recruiting, onboarding, payroll, billing and business intelligence for clerical, light industrial, IT and professional staffing firms. Over 25,000 users and 900 clients rely on Avionté to meet their goals via: * Single system of record across front and back office * Industry-leading Software-as-a-Service * High-value Partner Network * End-to-end business insights * Deep domain expertise All under one, easy-to-use system. Workable is all-in-one recruiting software: a single system for teams to find, track and evaluate candidates. Quick to implement and easy to use, Workable accelerates the hiring process by finding the right candidates faster and improving hiring team collaboration. Workable is currently helping 6000 organizations of all sizes to meet their hiring goals on time and on budget, by reducing their time to hire. An innovative Business Process Management (BPM) tool that revolutionizes your recruiting process and leverages technology to making your hiring simple. RecruitBPM is a cost effective Cloud-based talent acquisition and end-to-end recruitment management platform that helps staffing firms optimize their hiring process. Beamery is Recruitment CRM & Marketing software built for companies that are proactive about engaging the best talent, and don’t just rely on applications. Beamery helps companies source, attract and engage passive candidates. Instead of relying on organic applications and job ads, companies can approach recruiting proactively and build pipelines of talent for both open and future roles. Recruitee is a collaborative hiring platform for teams of all sizes. From employer branding, job promoting, talent sourcing, to applicant tracking, Recruitee helps teams streamline their hiring efforts and stay efficient while selecting the right candidates. G2 Crowd named Recruitee one of the top B2B tech companies in the Netherlands. Based in Amsterdam and Poznan, Recruitee is quickly becoming the industry standard for fast-growing companies around the world. Recruitee’s clients include Greenpeace, Usabilla, Hudson’s Bay, and Rackspace. Yello is an award-winning recruitment marketing and operations platform that works with the HRIS and ATS to manage the full candidate lifecycle. From hello to hire, Yello's talent acquisition software seamlessly converts candidates to employees, while providing insights and metrics to optimize recruiting operations. Yello offer solutions for campus, diversity, professional, and hourly recruiting. SmashFly's Enterprise Recruitment Marketing Platform empowers you to master the art and science of fit by marketing your employer brand and jobs through every recruiting channel, creating and nurturing relationships earlier so you’re ready to hire, and measuring every touchpoint in the candidate journey so you can better invest your resources. We help Talent acquisition Managers to get More CVs, Better Qualified, and directly into their ATS. The software of choice of Talent Acquisition Managers, Universities Career Services and Job Boards to create chat based recruitment environments that engage candidates and recruiters. Companies like Bosch, Continental, EY or Petronas as well as 50 Universities trust us to connect top talent with their recruiters. We have clients in 23 countries and offices in Europe (Madrid) and the USA (Philadelphia). Our software is completely accessible from all mobile devices, both for the visitors and for the company representatives (more than 50% of traﬃc to virtual fairs comes from mobile devices) and doesn’t require any downloads to attend the event. Additionally, the time to load our fairs is less than 5 seconds, which means virtually immediate access. Paycor delivers a unified human capital management solution with a singular focus on helping business leaders, entrepreneurs and HR practitioners make a difference in their organizations. With intuitive recruiting, HR and payroll solutions at its core, more than 30,000 small and medium-sized businesses trust Paycor to help them manage their most valuable asset - their people. Paycor helps you become more efficient, while helping you connect better with your employees through a modern, unified HR & payroll solution. From engaging employee self-service, to unlimited workflows, Paycor takes the burden off you and makes it easier to connect to your people. Your everyday processes become simplified, allowing organizations to focus on their most important work. Paycor’s payroll platform is designed to be exceedingly usable, while also being robust and feature-filled — enabling you to quickly and easily pay employees from wherever you are, all while ensuring tax compliance. Paycor's time tracking system makes labor management both time- and cost-effective. Our solution allows employers to create schedules, manage requests and stay on top of labor distribution. Streamline HR and payroll processes and get fast access to employee data using one intuitive platform. Simplicant is the preferred choice for fast-growing companies around the globe. We offer a comprehensive applicant tracking system with a smart and modern approach to talent sourcing, screening, interview management, job offers, analytics and all the tools you need for quick decision-making. As a customer driven company, we listen to and cater to your recruitment needs. You can now manage your end-to-end recruitment processes including sourcing, tracking, onboarding and employee referral processes from a single integrated platform. We are GDPR compliant and provide a secure and reliable platform. Appcast is a new way to advertise your open jobs on a ‘pay-per-applicant’ basis, across a network of thousands of career and consumer sites, rather than being charged per-click or post. It works with applicant tracking systems, requires no long-term contracts, and is simple to use. In use by leading employers, Appcast is changing how recruiters pay for recruitment media. Jibe is a global recruitment SaaS company that specializes in serving Fortune 2000 sized clients including Johnson & Johnson, FedEx, Siemens, Comcast, and American Express. Jibe's core offering is the Jibe Recruiting Cloud, a platform that enables large global enterprises to recruit the best talent, without having to change their existing HCM stack. The Jibe Recruiting Cloud optimizes recruiter productivity through insights, recommendations and personalized candidate experiences which enable you to attract, engage and hire high-quality candidates faster. myStaffingPro provides social recruiting, applicant tracking, and onboarding to both enterprise and midsize businesses. We help more than 1,000 companies recruit, qualify, track, and hire their greatest asset – their employees. The web-based system offers requisition posting, social media publishing, document and applicant tracking, as well as an automated onboarding process. CRM-Recruitment is a customized and tuned Applicant Tracking System based on SugarCRM. It is compatible with any version of SugarCRM and can run on top of SugarCRM 7.5 – Professional, Enterprise, Ultimate, as well as free editions – SugarCRM Community or SuiteCRM. The functionality includes both original Sugar modules and custom modules developed by the CRM-Recruitment.com team together with highly experienced recruiting specialists. CRM-Recruitment is aimed at providing a highly adjustable, low-cost software-as-a-service applicant tracking system, with the goal of easing the everyday life of recruiting agencies, executive search firms and HR managers. In-recruiting is an applicant tracking system (ATS), a cloud-based application that allows you to manage the entire recruiting process, from the collection of resumes to hiring, all on an intuitive and multi-language interface integrated into your corporate website. Talent Genie is a recruitment software (applicant tracking system (ATS)) that uses linguistic patter recognition and A.I. to shortlist candidates automatically , retype CVs and track their location in relation to the location of the position. Clinch is a recruitment marketing platform and CRM that brings together advanced content marketing and talent acquisition technology to create a unique end-to-end experience. Phenom TRM Platform is a SaaS solution for companies to find phenomenal talent through personalized digital experiences that automates the complex process of attracting, engaging, nurturing and converting qualified candidates and helps companies save money and time on talent acquisition. RecruitBubble is a solution that helps recruitment businesses support their clients acquire the right candidate for the position by matching candidate skills and persona with ease. RecruitMilitary is a platform designed to help organizations excel by attracting, appreciating, and retaining American veterans. Symphony Talent is redefining how brands and talent connect by applying data-driven consumer marketing best practices to talent marketing. Symphony Talent is the only talent marketing solutions provider that combines award-winning creative (Hodes) and marketing technology (X-Cloud) to deliver seamless, personalized experiences for candidates, employees and recruiters. As the leader in results-driven recruitment marketing, Talemetry™ combines our enterprise-grade recruitment marketing platform with cutting-edge tools, training and support to make recruitment organizations and recruitment professionals successful. Talemetry gets more of the right people to apply for the right jobs by delivering results-based attraction strategies and extending reach for all types of talent. We help the world’s largest organizations simplify recruitment marketing, enable new strategies and optimize recruiting performance. Our award-winning recruitment marketing platform features five high-performance products that can be used alone or in combination, including Source & CRM, Job Broadcast, Career Sites, Apply, and Agency solutions. These integrated solutions optimize operations, drive meaningful recruitment marketing ROI, and deliver ongoing client success. Finally, a recruitment marketing platform powerful enough to deliver results, and easy enough to deploy and leverage across enterprise organizations. Talemetry. Recruitment Marketing Results. Simplified. 4MAT is a recruitment marketing agency providing websites, branding and marketing services. Aspen Tech Labs offers a sophisticated web data management platform to assist on-line advertisers automate, synchronize and enhance their customer data content. Career Connect is a cloud based recruitment management software solution. It is designed to manage a company's sourcing, filtering, and shortlisting of CVs from the wildest pool of candidates available. ClearEdge Marketing is a full stack marketing agency for companies in talent management. cloudrecruit is a cloud-based recruiting solution. Comeet is a cloud-based collaborative hiring platform that provides structured, streamlined workflows to enable companies to make better hires, faster. The system is based on a team-centric approach that involves the entire hiring team, not just the recruiters. It offers an elegantly simple, user-friendly design that makes it easy for companies to deploy and customize for hiring teams to use, with little to no training required. Features and functionality cover every activity necessary to build high performance teams, including: sourcing, coordinating, communicating, sharing, scheduling, preparing, engaging, evaluating, hiring and reporting. Due to its simplicity of use and automated processes, results show very high participation rates of non-recruiters. Complete software solution for Executive Search firms, Corporate HR Departments, Recruiting Agencies, Medical Recruiting and Contract Management. Integrated with Microsoft Office, Time-sheets, Quickbooks Pro, Internet harvesting, Job Boards. GR8 People is 100 percent purpose-built to deliver the unfair advantage companies demand to compete for talent around the world. Whether selecting the entire platform or individual components, it is the enterprise talent platform that brings CRM, recruitment marketing, applicant tracking, hiring and onboarding together; connecting entire talent ecosystems into one-experience of performance, agility and intelligence. Hireology manages recruitment marketing, the hiring process and post-hire data, saving organizations of all sizes time and money so you can better focus on your team. By centralizing otherwise disconnected steps in the recruiting and hiring process, Hireology shows results and ROI through our powerful but simple analytics platform, Insights. With our recruitment CRM, organizations can more effectively attract higher quality applicants using our programmatic sourcing and career site tools, and manage the entire hiring process through our intuitive platform before integrating with world-class HRIS tools to onboard and set new hires up for success. HireRabbit specializes in recruitment via social media. HRmarketer Insight has an ear to the ground and maintains the best pulse on the HR industry. Hi there! Can I help you find the best Recruitment Marketing solutions?